As San Marcos High School student Aric McDonald builds his wood shop project, he focuses on fine details such as drilling, sanding and precision sawing. But the realization of what he is creating is never far from his thoughts. "I almost always remember what it is," this 15 year old said about his project: a casket for a baby. "A lot of times I just think of the dimensions, but I know what it's going to be in the long run." 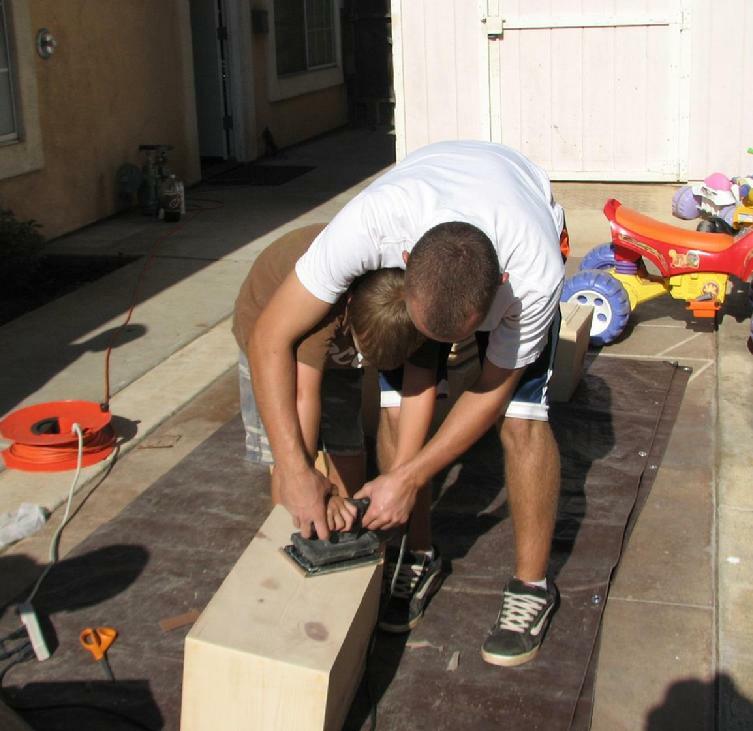 Wood shop students at San Marcos high are building the caskets for the North County based non-profit, Garden of Innocence National, which provides dignified burials for abandoned and unidentified children. Teacher Allan Brent said students in his two basic freshman woodworking classes will build 22 caskets this year. Each takes about three weeks to craft. Brent said students were taken aback when he introduced the project nine years ago. "They were kind of creeped out," he said. Aric, the only sophomore in the class, said he knew about Garden of Innocence from family members, including his grandfather, a Knights of Columbus member who has participated in some of the memorial services in Garden of Innocence/San Diego. But even with that advance knowledge, Aric said he still was shocked when he saw a stack of 20 small caskets on campus at last year's arts and crafts show. While his students see the project as an important and poignant community service, Brent said, it's also a learning experience for his class. Building the lids teaches them techniques for making kitchen cabinet doors, he said, including embossing and making angled cuts. Aric said he has never attended a Garden of Innocence memorial service. "I'd love to see one of those," he said. "This year I might even be able to attend one. I'd like to see where the caskets are going and I think it's the right thing to do. You can't just live your life without seeing the hardships too." 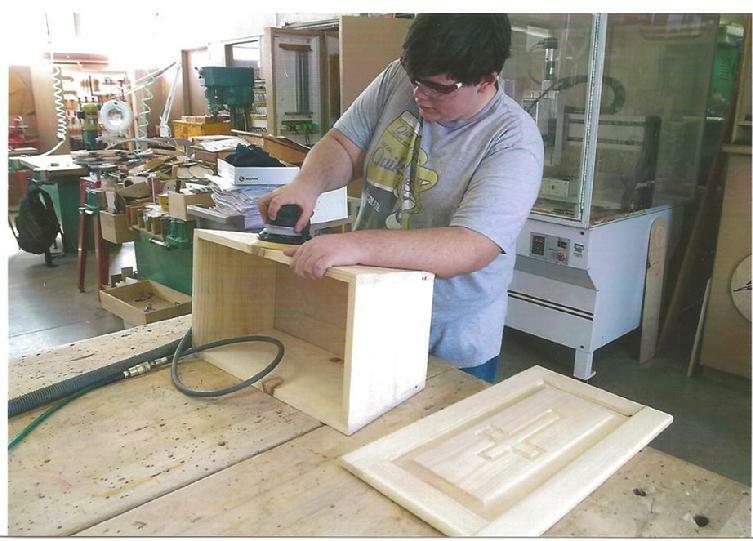 Allan Brent, in collaboration with Elissa Davey is making the Children Building Caskets for Children project an annual project for his woodshop classes. "We are so thankful to Allan", Davey said, "As his class has donated more then 100 caskets to Garden of Innocence. We are so appreciative of his students willingness to participate and help us send these children home with the love and dignity they deserve. It is children like Aric that make this project so special. The funny thing about this is I didn't know that Aric is the grandson of real estate partner. Small world. Boy Scouts earning their Eagle Scout badge are also using this program to give back to the community through this gift as well. We are so proud of the scouts that have created and made such wonderful caskets for us. We are very excited that they are part of our volunteers. If you would like to participate in the "Children Making Caskets for Children Program", please write us and let us know. Our casket plans are here on the site and you can also see Stephen Packard's Eagle Scout project here on the site.